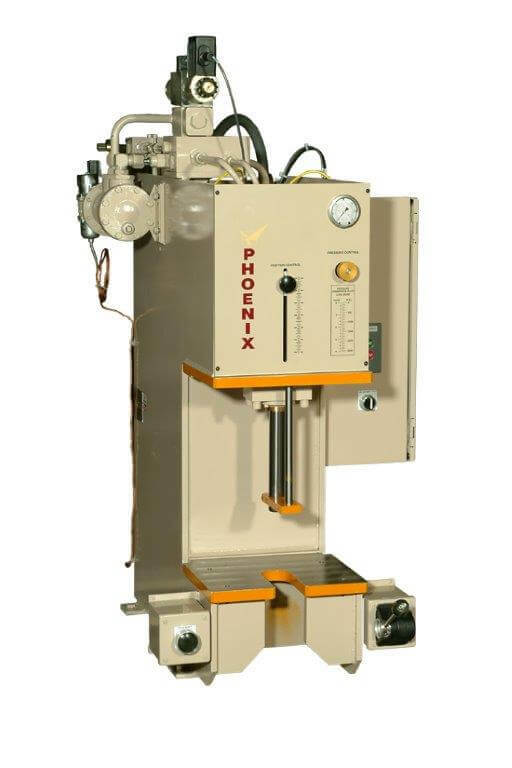 Quality Phoenix Hydraulic Presses deliver consistent performance – in even the toughest of metal-forming and assembly applications. 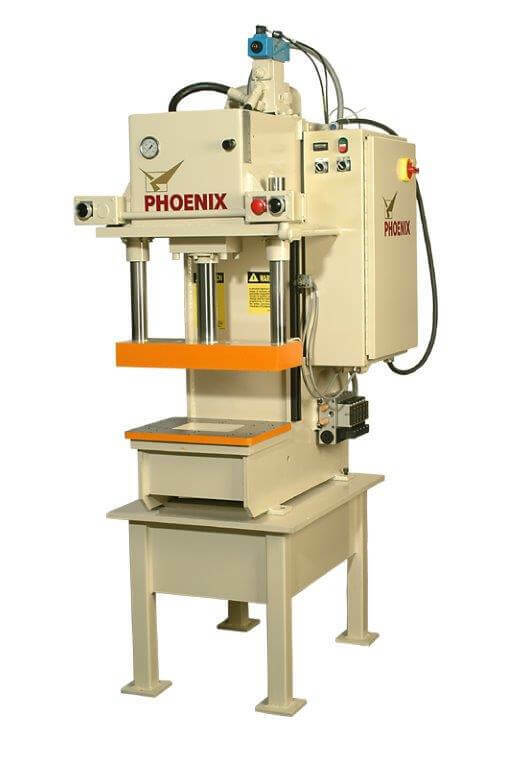 Phoenix’ custom C-Frame hydraulic bench presses are built with standard industrial hydraulics and electrical components that can be obtained from local sources. 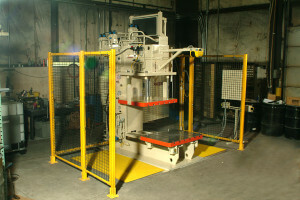 This keeps operating and maintenance costs to a minimal and helps eliminate costly downtime. Tonnage is adjustable from approx. 20% to 100% of maximum rating. Lower ranges of operation are available upon request. General Construction: The press is of all-steel construction, welded for maximum strength and stability with minimum deflection. For long life, all cylinder rods are hardened, ground, and hard chrome plated to resist scratching & scoring. Large reservoirs are an integral part of the frame, eliminating the need for a heat exchanger an most single pump applications. Hydraulic Components: Cylinder, pumps, & valves meet JIC Standards. Valves with indicator lights are used & the hydraulic circuit is designed to counteract the tendency of the ram to drift down. 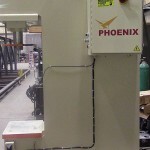 The pump is a fixed volume vane type and is a C Face mounted to the electric motor. Electrical Components: Includes controls to JIC Standards, TEFC Motor, NEMA 12 control cabinets (dust-proof & oil tight), indicator lights, magnetic starter, 110 volt transformer & terminal block. Operating voltage is 230/460 volts, 3 phase, 60 hertz, unless otherwise specified. Sound Level: When factory tested prior to shipment, presses have a decibel level rating under 85dB at the operator’s position. Manuals: Operating & maintenance manuals and drawings are furnished as part of every press order. Hydraulic Fluid: Uses standard hydraulic fluid, Mobil DTE-26 or equal. Phosphate ester (fire resistant), water/glycol or other fluids, must be specified. 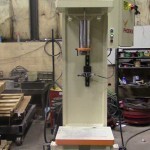 Presses are factory tested & reservoir drained prior to shipment. Selling price does not include hydraulic fluid. View our example C-Frame Bench gallery!